The tornado count has a been in the double digits every day since Saturday. 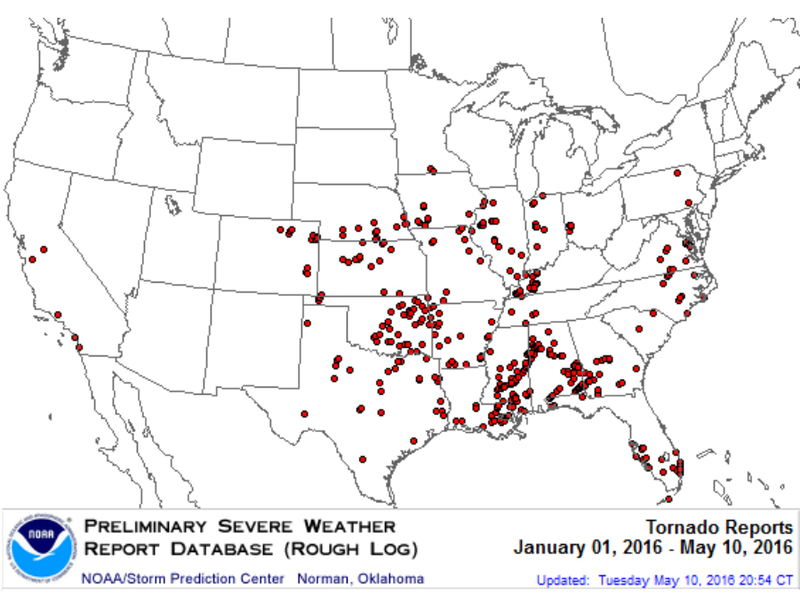 Each of these days brings the tornado count to 63 tornadoes in just four days. And today could add to that total. This is already the third most active severe weather outbreak this year, significantly upping the number of tornadoes in 2016. More severe weather is on the way Wednesday, Thursday and Friday, with the chances for nasty weather decreasing as the week progresses. 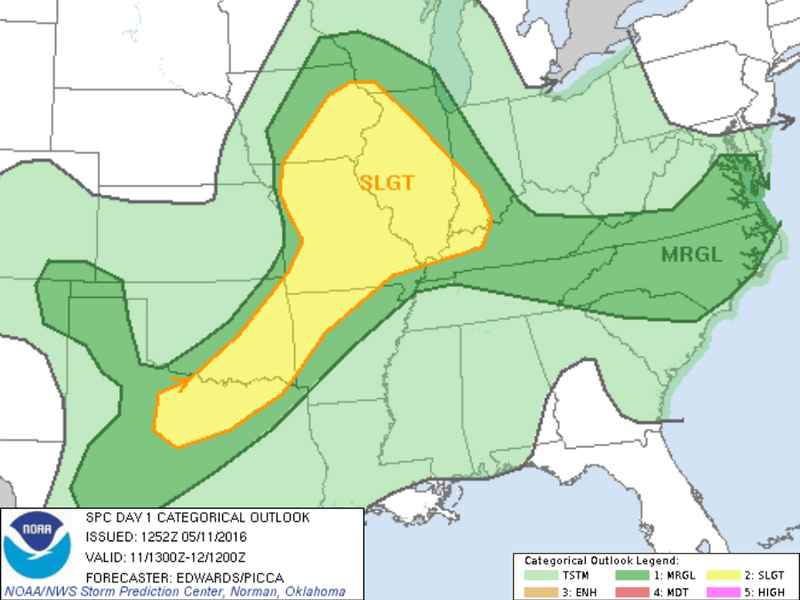 Wednesday's severe weather threat stretches from northern Texas up to southeast Iowa and Illinois. 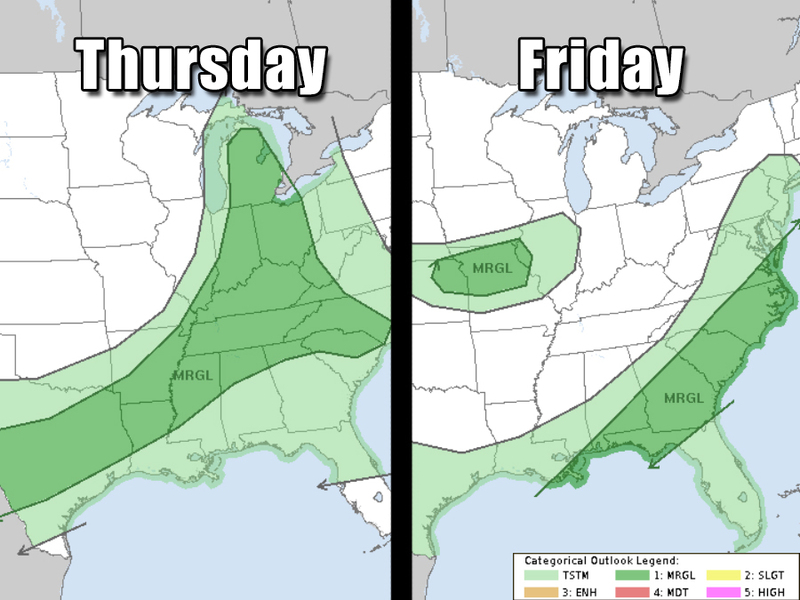 Thursday and Friday, the threat of any bad storms will decrease significantly as it moves east into the Midwest and eventually into the Southeast. By the weekend, this pattern begins to shift and the country should get a break from any more severe weather.